Unfortunately, these are not always an option for seniors due to either choice or financial burdens. According to this study, “there are roughly 5.5 million older households with someone who has mobility issues, but who live in houses without no-step entries.” One of the main issues preventing unencumbered seniors from moving to more accessible housing is the lack of affordable senior housing, and the low assessment values of their current homes. In the Richmond region, almost three fourths of seniors own a home that is assessed at $199,99 or less. When looking at available senior housing in October 2017, the average price of a house was $347,430. This gap in senior equity versus senior housing is the crux of this study. 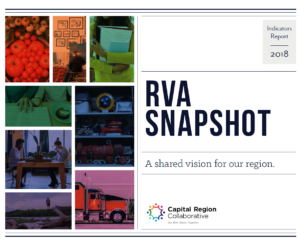 The study goes on to show that even if seniors are financially able to downsize into accessible living quarters, with the growth of the senior population in the near future, the Richmond region currently does not offer enough senior housing to accommodate the aging Baby Boomers. Ultimately, it is up to local and state policy to incentivize companies to produce affordable senior housing. To read the full report, click here!